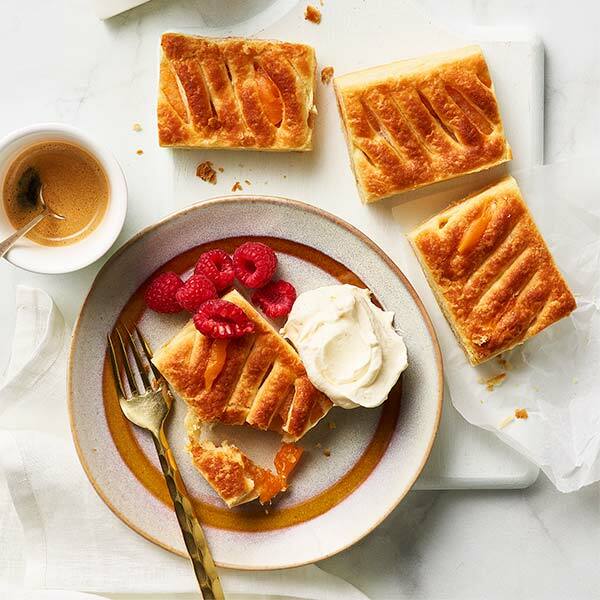 Sara Lee's traditional Apple Danish is an old favourite that is sure to please every time. 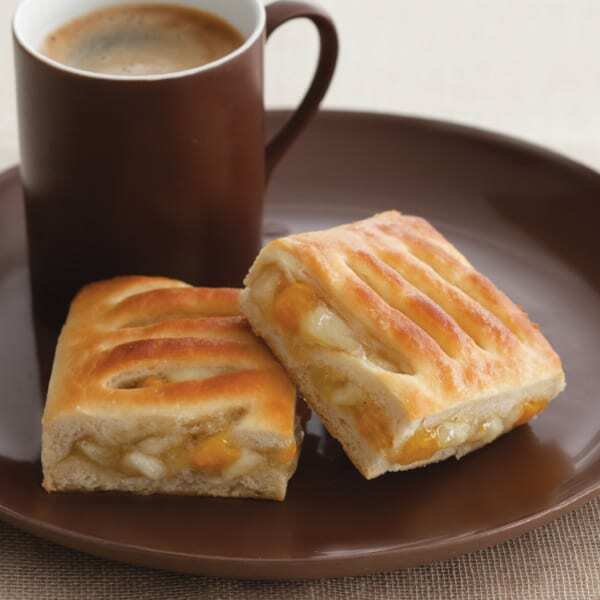 Delicious light golden pastry made with butter is filled with real diced apple. A hearty dessert for any occasion. 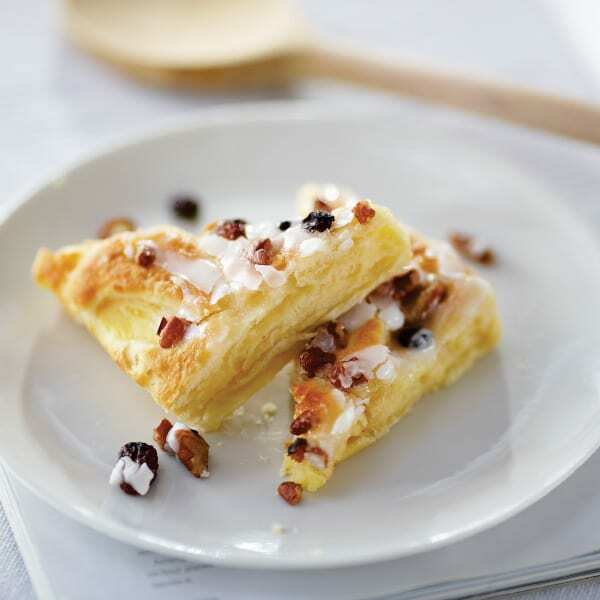 Warm through and serve Sara Lee Tray Apple Danish to the table as is or with a simple garnish. Return any unused frozen portions to the freezer immediately. 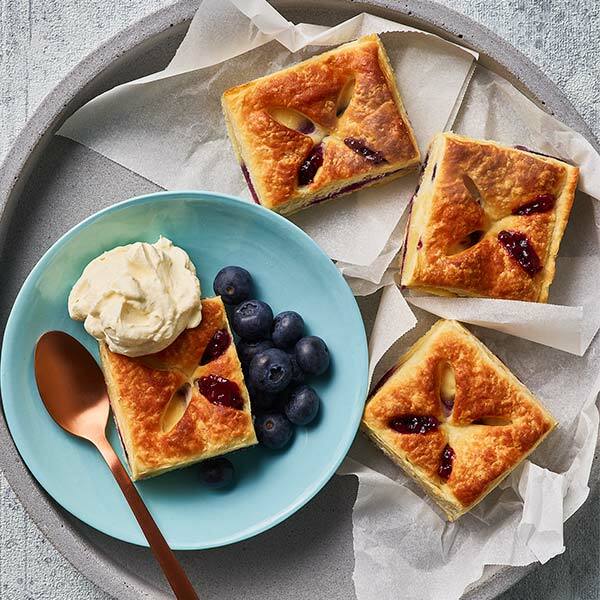 Apple (36%) [firming agent (509)], wheat flour (thiamine), sugar, butter (milk), egg, margarine (vegetable oil), thickener (1412), sultanas, yeast, apple concentrate, citric acid, salt, emulsifiers (vegetable - 471 soy, 475), cinnamon, glucose syrup, vegetable gum (414), gelatine.